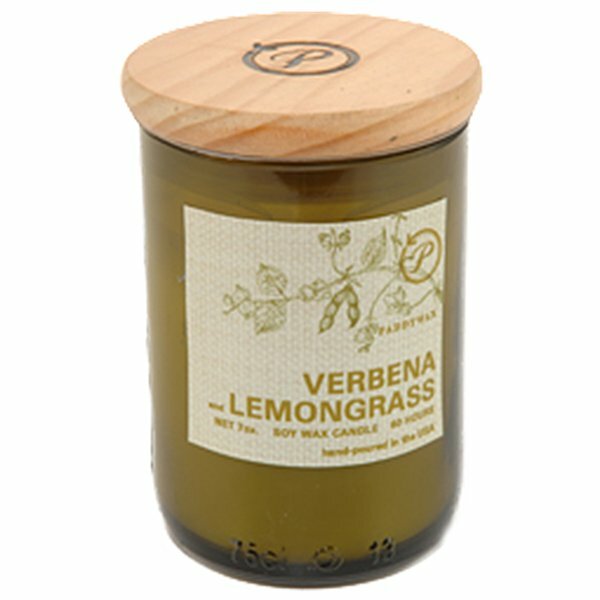 Paddywax Verbena & Lemongrass Candle is citrusy fresh verbena & lemongrass fragrance notes, hand-poured with Paddywax signature soy wax, into an upcycled wine bottle with wood snuff lid. Paddywax ECO Candle Collection includes candles in upcycled wine bottle bottles in natural green, rich Paraben & sulfate free hand wash enriched with vitamin E and hand poured diffusers in an upcycled glass bottle. The perfect collection for the earth-minded individual.